GoDaddy already has an outstanding referral program, sourcing roughly one-third of their corporate employees via referral. And recently, they decided to add on LinkedIn Referrals, to further enhance their program. Of course, a big part of making their referral program successful is marketing it effectively to GoDaddy employees. So, they decided to get a bit creative when announcing the new program, to entice widespread buy-in. One of their ideas – a mirror. 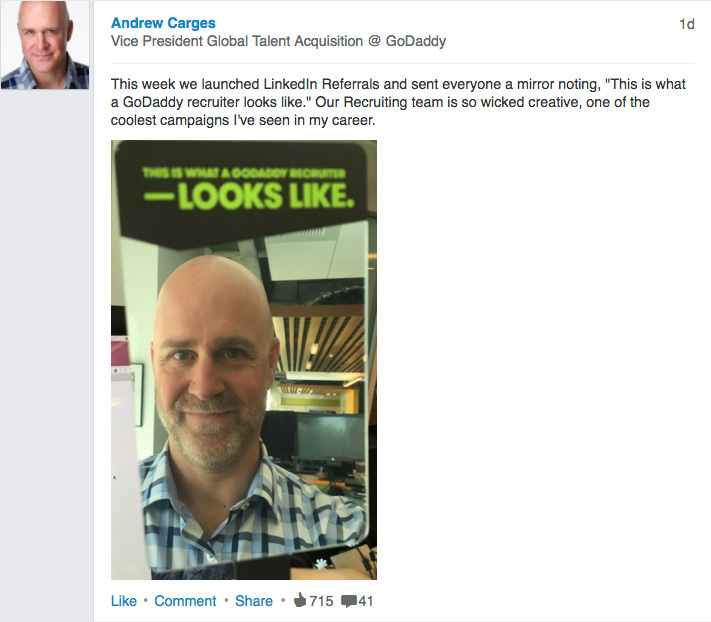 The point of the mirror is to highlight that everybody within GoDaddy is responsible for recruiting, not just the recruiting team. And that means employees from all departments should be referring great people. It’s worth noting that this is just one of many techniques GoDaddy has used to market their referral program. They previously did things like put a poster up in code to encourage software engineers to refer and turn recruiting at GoDaddy into a friendly competition, where winners got a GoDaddy #socialrecruiter T-shirt. These moves have all paid off. In June of 2014, GoDaddy was sourcing around 17% of its employees via referral. 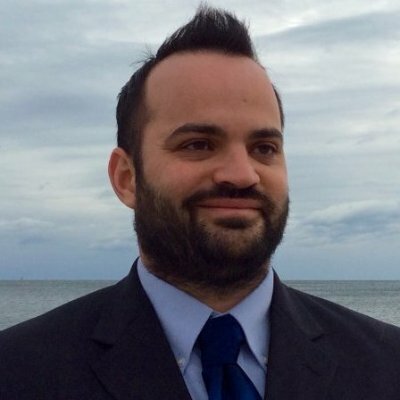 Now, the company sources 33% via referral, thanks largely to the marketing techniques listed above. This is even despite cutting their referral bonus from $3,000 to $1,000. Pretty impressive, especially considering how effective hiring via referrals can be. And this mirror shall only further “reflect” well on their brand (…I’ll be here all week).